This isn’t the first year where the Honda COTA 4RT 260 has been available in the United States, but until now only a limited number of these trials bikes have been available to American riders. Thankfully Honda America is changing that though, officially announcing the 2015 Honda COTA 4RT 260 & 2015 Honda COTA 4RT 260 Race Replica for the US market. Essentially rebadged Montesa machines that come from Honda’s partnership with the Spanish marque, Honda’s COTA 4RT 260 models represent Big Red’s attempt to offer a competition-grade trials bike (2015 Honda COTA 4RT 260 Race Replica, shown above) as well as an entry-level trials bike (2015 Honda COTA 4RT 260) to American motorcyclists. Both bikes feature an aluminum frame and a 259cc liquid-cooled thumper, which is mated to a five-speed gearbox. The base model has suspension done by 39mm Showa forks, and a Pro-Link Showa rear shock, while wheels are 21″ in front and 18″ in back. On the Race Replica model, that suspension is replaced by 39mm TECH forks, and a a Pro-Link R16V rear shock. Other differences include the smaller seat on the Honda COTA 4RT 260 Race Replica, which can easily be replaced for competition use. 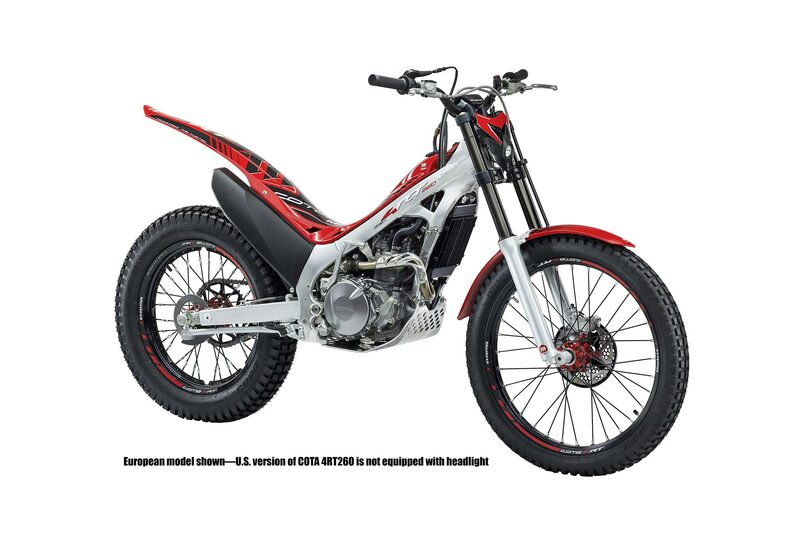 Honda America is taking orders for these trials machines starting today, with delivery expected in January 2015. The two machines are priced at $7,799 (base) & $9,499 (race replica) respectively.